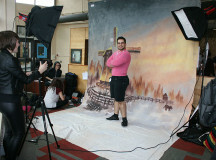 Whether you’re into taking pictures or drawing them, Christianity or gay pride, Sheridan College has a club for you. 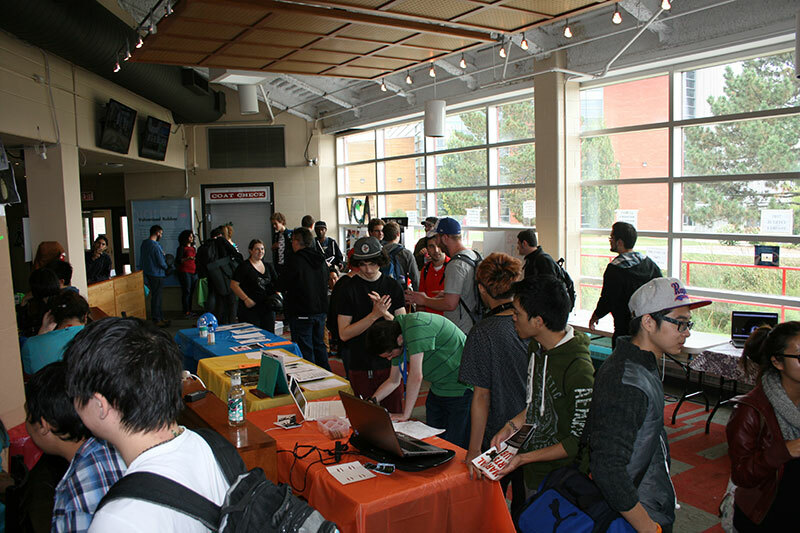 Last Thursday, Trafalgar Campus’ Atrium played host to 13 of Sheridan’s 20 clubs, which had gathered there in order to spread awareness and gain membership. 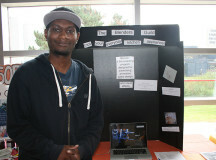 “In order for a club to get club status it has to have 10 members,” said Alexander Curley, Sheridan grad and resource manager for Sheridan Pride. Clubs meet between one to three times a week, depending on member participation and availability. 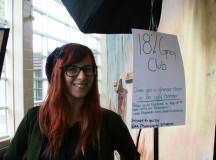 Some clubs, like the 18% Grey Club and the Sheridan Animation Council, are put in place in order to help fundraise for their program’s end of year projects. 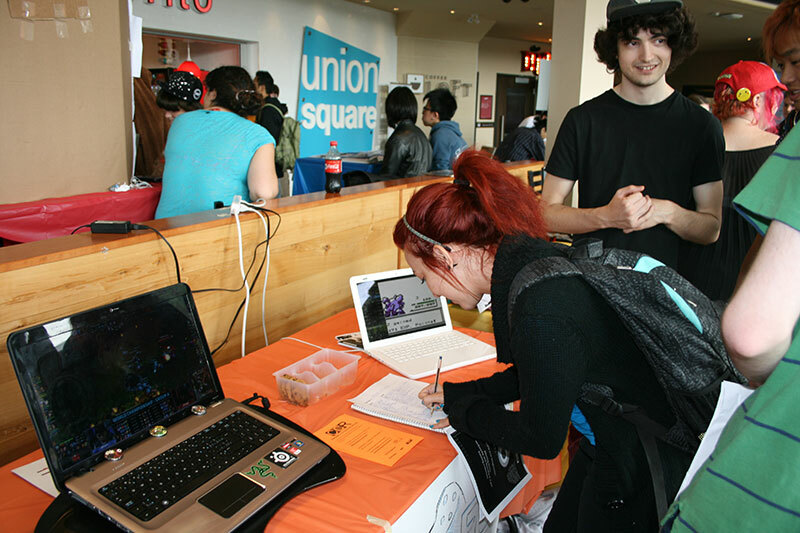 The photography students and animation students have to pay for their events out of pocket, so club awareness and fundraising goes a long way. Other groups, such as the Martial Arts Club and the Street Dance Society, get together to break a sweat and improve their moves. 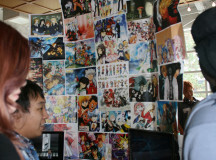 Generally, clubs are a place for like-minded students to get together and enjoy their common interests. 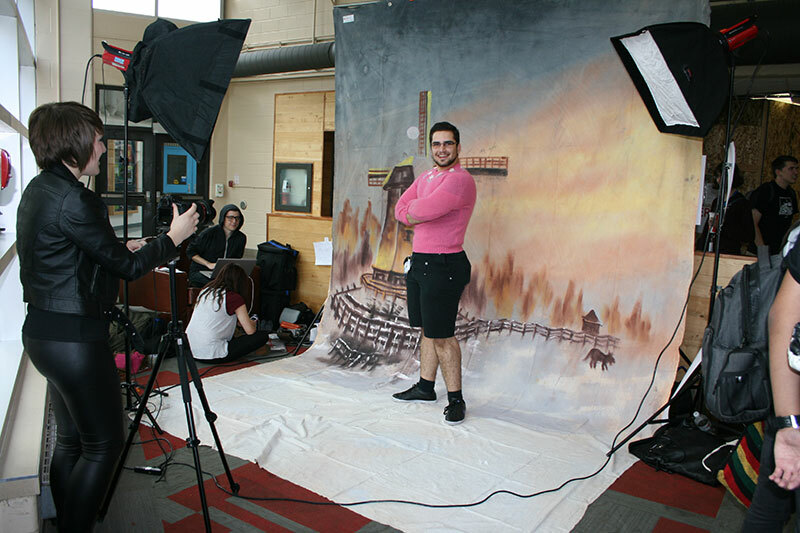 For example, Sheridan Pride is responsible for hosting the Queer Cabaret for the past two years, provides free screenings of queer films and generally acts as an advocate for the rights of gay students. 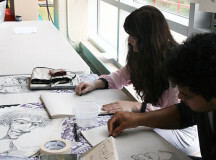 “It provides social gathering spaces and allows students to grow and broaden their perspectives,” said Curley. 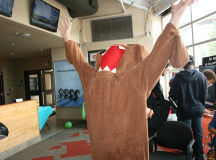 But it can be hard to get students to find the time for club involvement. 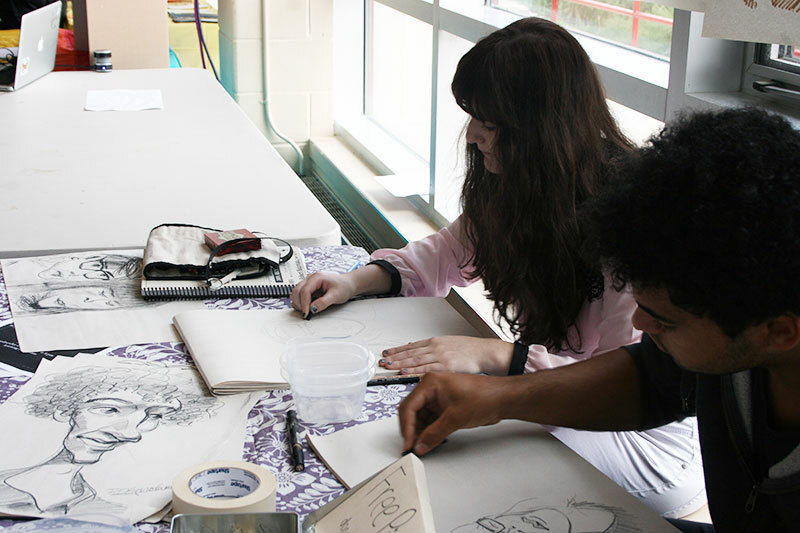 “We have lots of members, just not committed members,” said Robert Ree, faculty sponsor for the Sheridan Makers, a club that creates visual creative arts products using 3D printing and robotics. 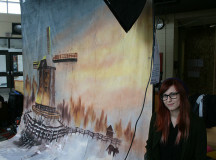 Lauren O’Brien signs up for the Society of Fine Artists (SOFA) club. 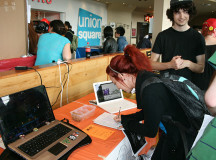 Pulsifer belongs to three clubs, while completing her third year in the animation program and holding down her position at Student Union. 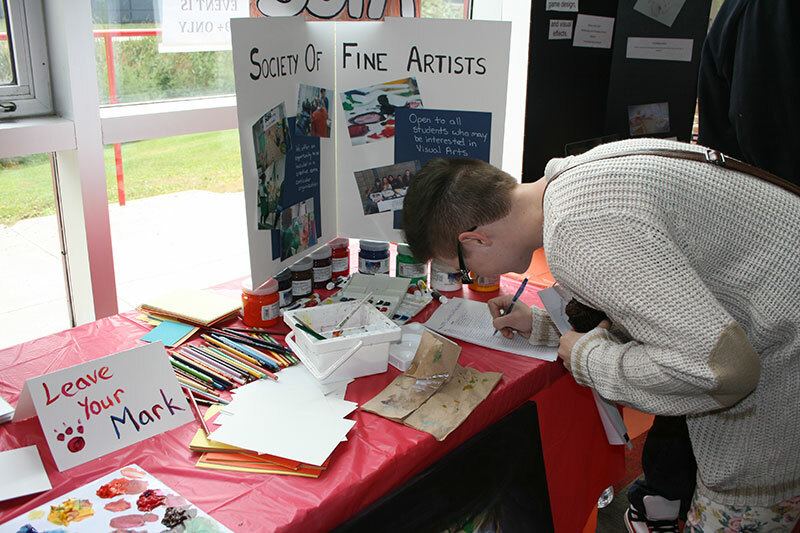 “We were very pleased with how the clubs fair went on Thursday, the last couple years haven’t been so successful so this year was exciting,” she said. 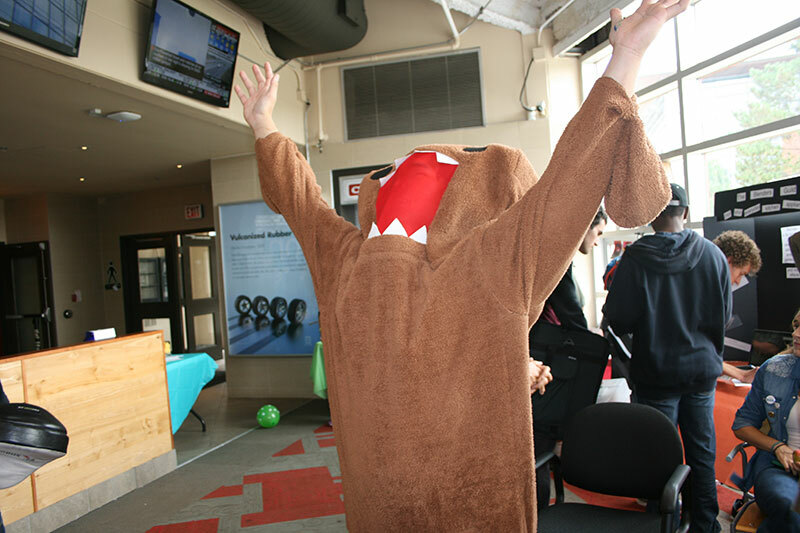 But for some, the excitement wasn’t exactly infectious. 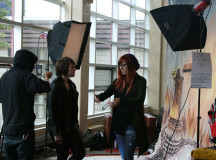 Photography student Paige Robertson gets a student to strike a pose. 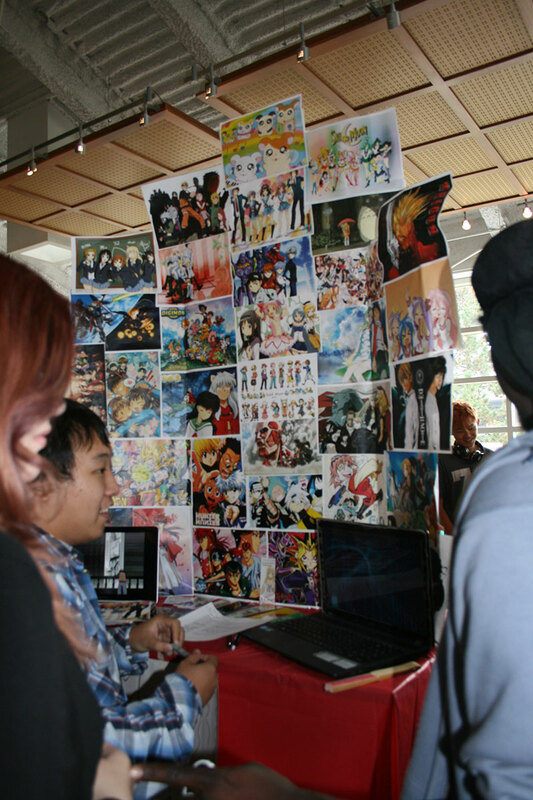 Students gather around the Sheridan Anime Society booth, one of the most popular clubs on campus. 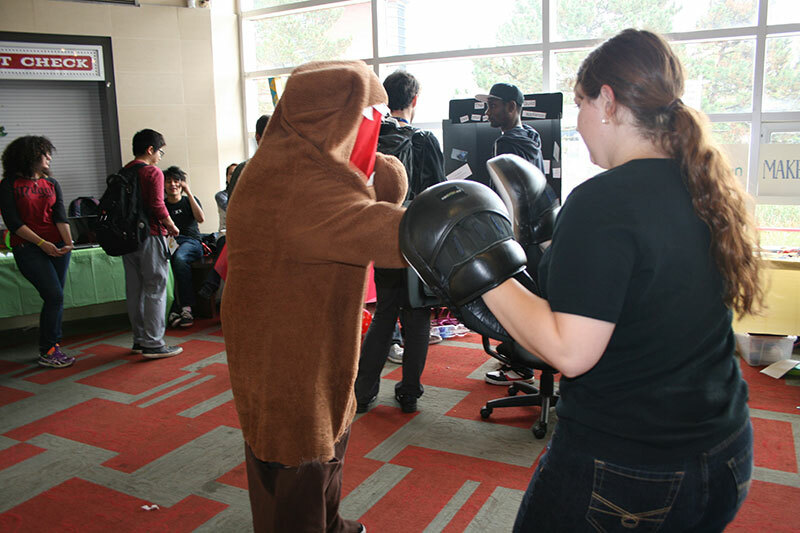 The Sheridan Anime Society goes toe-to-toe with the Martial Arts Club. 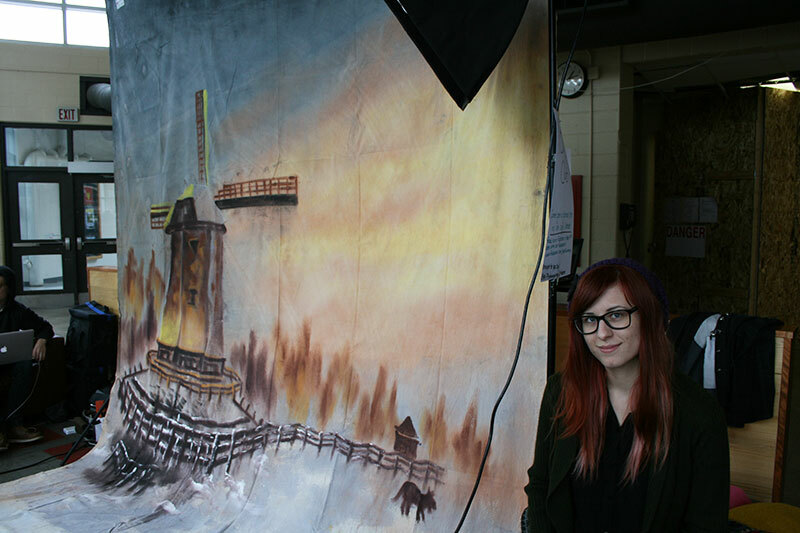 Photography student Mikaela Baker sits next to the 18% Grey Club's photo-op backdrop. 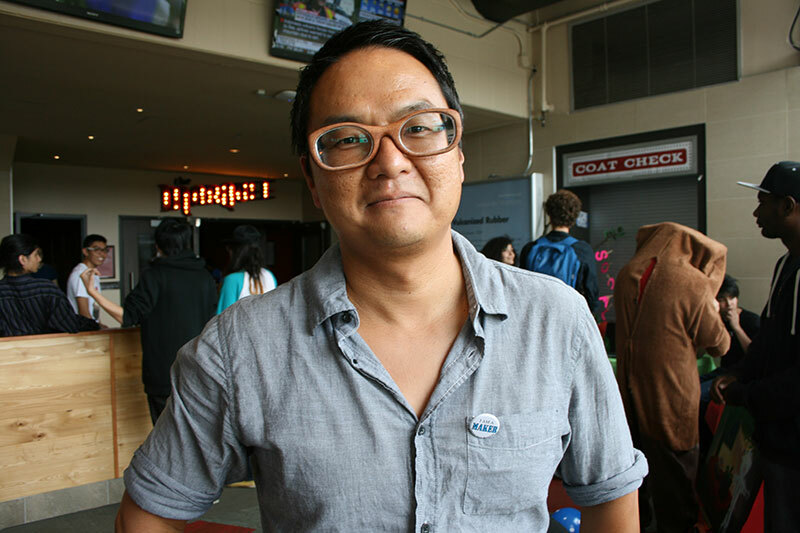 David Thai of the Sheridan Anime Society can barely contain his excitement. President of the Martial Arts Club, Cody Foster, shows off some of the club's equipment. 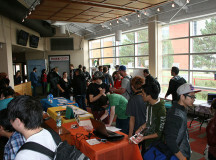 Interested students mill around the Atrium to find out more about potential clubs. 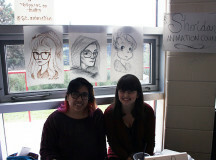 Members of the Sheridan Animation Council draw caricatures of students to raise club awareness. 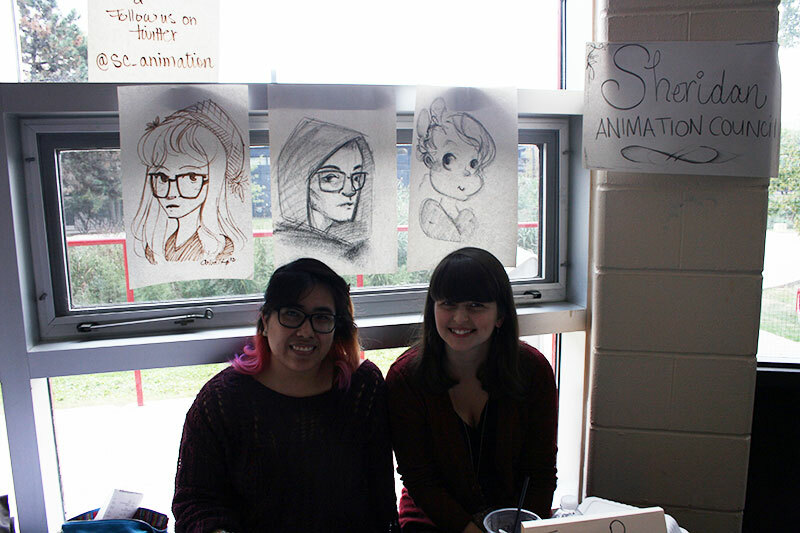 Animation students, Nicole Colada and Rebecca DeGirolame hold down the Sheridan Animation Council booth. 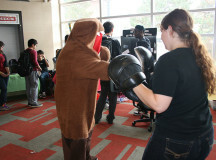 Sheridan's Looking for Gamers club is quickly gaining popularity on campus. 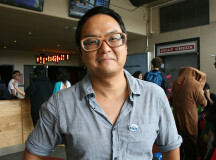 Visual creative arts faculty sponsor Robert Ree models the glasses the Sheridan Makers brought to life with 3D printing. 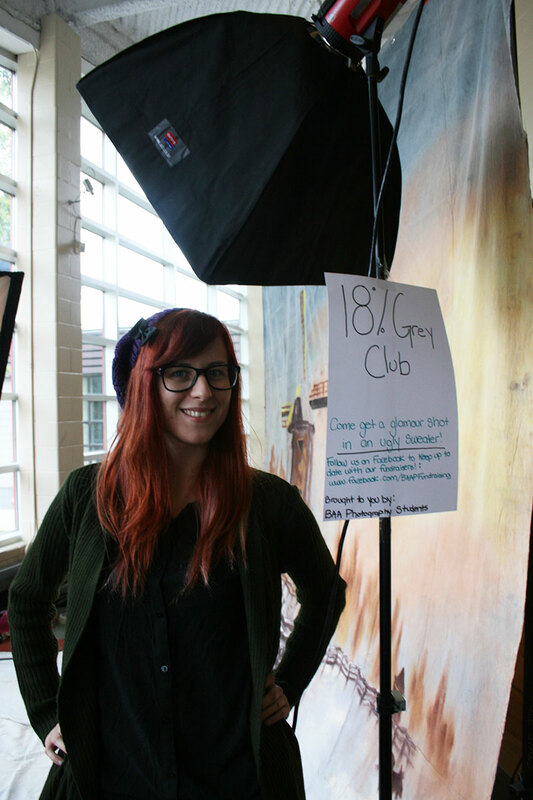 Mikaela Baker is one of of the photography students raising money for the program through the 18% Grey Club. 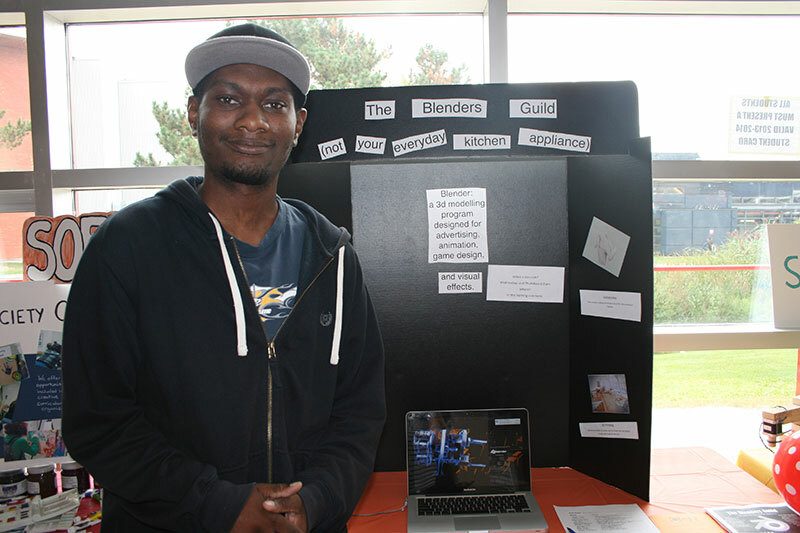 Matthew Bryant is one of the founding members of The Blender's Guild. 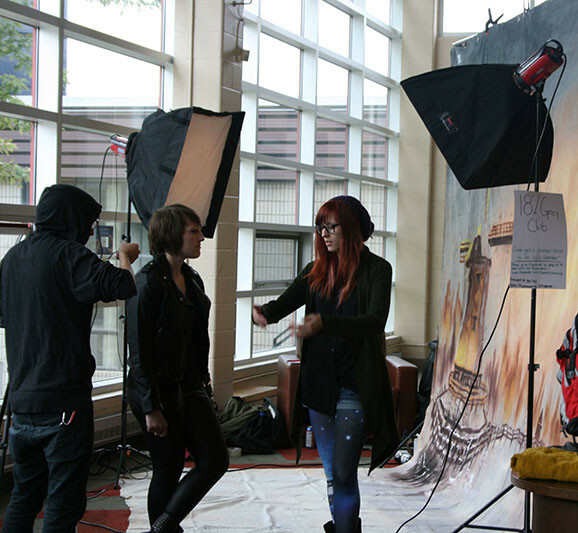 Photography students Paige Robertson and Mikaela Baker take a break next to their booth. Added by Jessica Beaulieu on September 24, 2013.